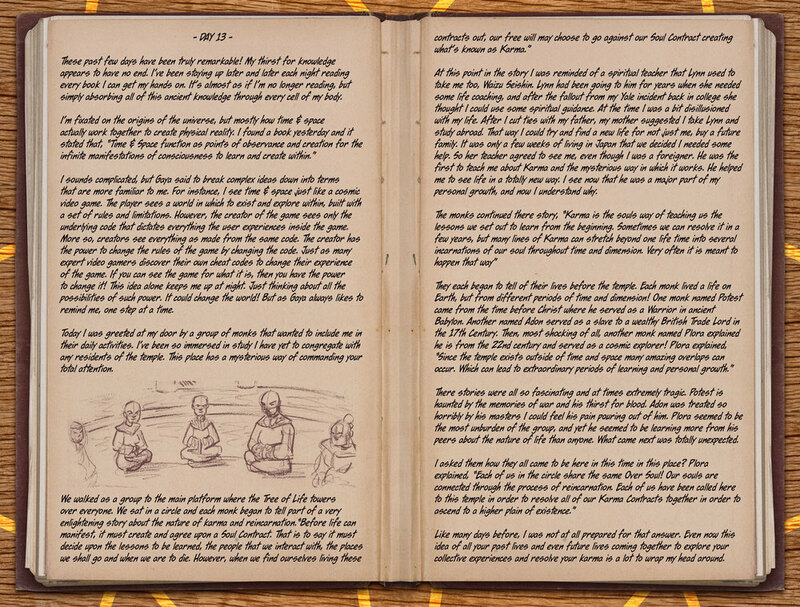 In the Atlas Training Journal : Day 13, Peter learns about Reincarnation from a group of monks that share the same Over Soul. Gaya reveals a big decision that he must make about his training. Does he stay in the temple, or venture out into the unknown? Find out in the final chapter in the Atlas Training Journal : Volume 1. 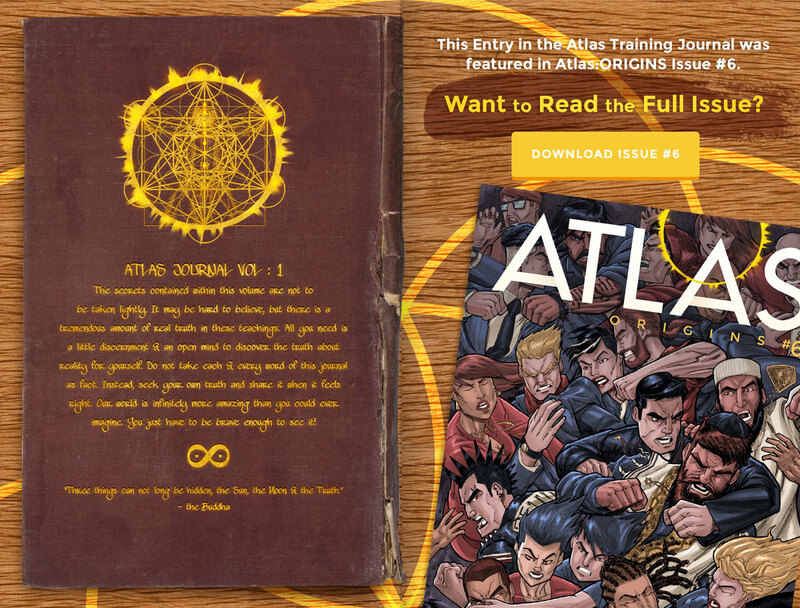 Stay tuned for more Atlas Training Journal entries in the Atlas Training Journal : Volume 2! Like the ORIGINS series, this all-new volume will be a companion series to the next chapter in the Atlas story, Atlas:CORRUPTIONS. 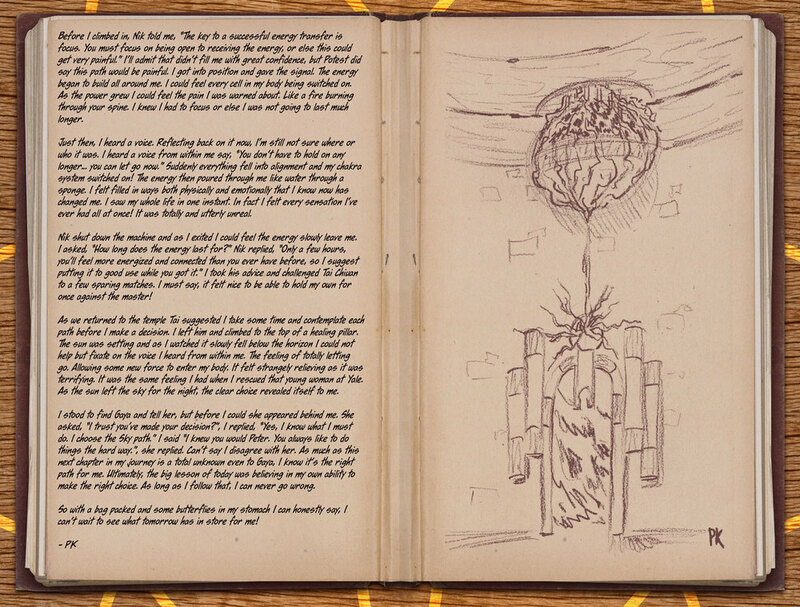 It will follow Peter's adventures outside the temple as he travels between time and space. He will meet many cosmic teachers from Native American Shamans to the High Priests of Atlantis! The next chapter will begin soon!